Oceanfront loft w/ gorgeous ocean views & easy beach access! Property 2: Oceanfront loft w/ gorgeous ocean views & easy beach access! Property 5: Private! Wooded in all directions. Great beds. Dogs free. 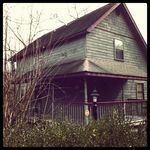 Property 7: VICTORIAN CHALET OVERLOOKING GATLINBURG, SLEEPS UP TO 7. Property 8: Great seasonal rates - stay in your own Alpine Chalet !! Property 11: Stunning Mountain Views! And So Much To Do! Family & Pet Friendly. Property 12: Dog-friendly, oceanfront cottage with beach trail and room for 6! Property 13: Lovely Chalet In Fabulous Location!! 5 Minutes to "The Island!" Property 14: Cozy Retreat in the woods! Close to the Parkway and shows! Property 15: Come to the clouds mountain chalet, rest, relax, and enjoy. Property 18: Located in one of the nations most desireable vacation spots. Property 19: Unbeatable location, sleeps 5...Super Clean, Great Reviews! Property 20: Treetop Chalet located near I65 on the Tennessee/ Alabama state line. 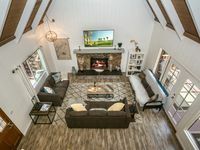 Property 23: Perfect Couple's Smoky Mountain Retreat! Great Views; Borders GSMNP! Property 24: THE PERFECT SPOT TO UNWIND, RELAX AND ENJOY NATURE! Property 27: Beautiful Chalet incredible Viiew with Pool, Sauna 1 mile from Ober Gatlinburg. Property 33: Secluded Log Chalet / Most affordable near Ski Slopes & all-season adventures! Property 34: Mtn. Chalet With A Tranquil Setting - Close To Everything! Property 37: Lakeside Chalet - Pets Welcome, Sleeps 6, Hot Tub, 2 Fireplaces. WIFI. Firepit. Property 42: It’s time to make some Mountain Memories!!! Book your summer dates now!! We had a great time. The house was just what we needed. Very nice and would love to stay again. This is a super location. The house has a great layout and Lisa is great to work with. We will be returning for sure.